I've finally added some questions and answers to this section!! If you want to ask me a question about Evo or anything related then e-mail me and I'll do my best to answer it here also. Why haven't you answered my e-mail/ e-mails yet? Don't worry! I'm not ignoring you! I try to answer e-mails as soon as possible, and if I haven't answered your in about 6 days at the most then I probably didn't get it for some reason. Do you accept all fanfics/art? Pretty much as long as it not offensive: I don't mind taking high-rated stories but if you're going to send one of those to me then add a suitable rating to it so I can warn others. Will you add _____, ____ and _____ to your site? I aim to please! ;) E-mail me with suggestions for this site or leave a comment in the guestbook so that I know what all you wonderful site visitors out there want. Why don't you update as much as you used to? Sadly, summer holidays are over an I've got my final exams next summer so I've really got to revise and get on with coursework right now unfortunately. I update as often a I can at the moment but as soon as my exams are over I'm gonna have loads of free time until I start in the Sixth Form to update this site! There is light at the end of the tunnel people! Well, I needed a place to put all those banners and petition things. You can sign up or visit the respective sites if you are interested. Click the image to sign the petition to prevent Marvel from canceling the Evolution comic as they currently are when it gets to number 10. 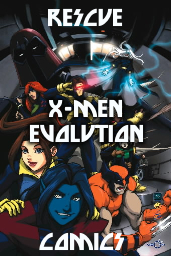 Rogue Unlimited reports that Marvel made it known that if they got enough signatures, they would restart the comic series as was planed: further comics would have included the introduction of Sinister and Apocalypse. Marvel said that if there were at least 150 people who signed they would maybe rethink the cancellation, but if there were a lot more then they would keep the comics going. 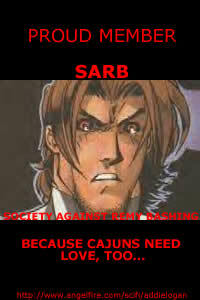 So, if you collect this comic and are a big fan, be sure to sign the petition and make Marvel change their minds! Go and sign the petition to keep our beloved show from being canceled!! There are loads of signauture alreadyso hopefully our efforts will convince Kids' WB! to commission another season! Fingers crossed . . . . . 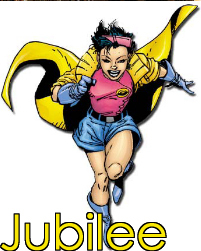 The ego-trip part with random stuff and all the results from various tests I have taken relating to the X-Men, yadda, yadda ya . . . .
Huzzah, you're the fabulous Miss Jubilation Lee, also known as Jubilee. You're a smart-mouthed little bundle of energy who never lacks a snappy come back or witty retort. You're a bit irresponsible at times, but you can't help it if there are better things to be doing with your valuable time than studying or practicing. Pschaw! Yup! I got Jubilee! 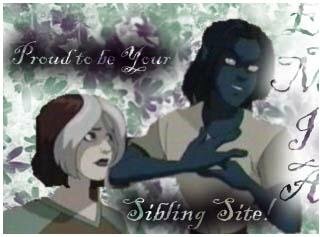 Click on the link to take the test and see whether you are most like Jean, Kurt, Logan, Mystique, Remy (Gambit), Rogue, Scott or Jubes! Well there ya have it! 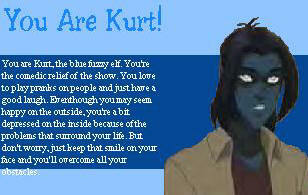 Take the quiz at X-freaks! These adorable adoptables (heeey - my English teacher would be so proud I used alliteration!! ;)) are from the Brotherhood Files! Just couldn't resist them I'm afraid and they needed somewhere to go, so . . .
Aaand these little cuties are from The Evolution Adoption Agency . . . aww bless! From the Brotherhood Campus, say hello to Kitty, Kurt, Tabby and Jean! The latest addition to my little adoptable family are these cuties from The Mutant X Adoption Agency . . . I adopted these from Nicole Wagner's Dollz before it died and just took ages to put them up on the site. Aren't they adorable?! Visit Alisa LeBeau's Site instead. I made this Kitty for a Halloween present to all my lovely affiliates/sister sites 'cause they're all great for affiliating with me! :) Happy Halloween everyone!! Thank you Serena and Cassidy for sending me the dolls of my favourite couple ever!! Yay! Huggles ^_^. If you love these dolls too, you can go to X-Freaks and adopt them for yourself also! Version One: Click the little thumbnails for a full picture to open in a new window. Well, what to say? This was the very first version of this site and I loved the splash page thing. I got bored with the frames that I used inside the site eventually, (especially as they took ages to load!) but overall, I was quite proud of this layout at the time. It was my first attempt at frames and at making graphics and all that kind of thing. Version Two: Credit to Springwater designs who made the original layout who I must thank enormously because from this layout I learnt how to make iframes and use div layers by changing their html code and seeing what happened! :) I changed the colours of this layout to a whole purple kinda theme and I made the main image using a picture from one of the Evolution comics and a free trial of Paints Shop Pro 7!! I loved this layout at first but I got a bit bored with it eventually, and the splash page for this site was a bit of a bore seeing as I just used the same image as for my main image because I'm a lazy girl ;) . . . Anyway, check out the screenshots below.